THE ULTIMATE ADULT-ONLY BALL PIT. With the UK’s largest ball pit, Ball Mania is the ultimate blast from the past. Throughout July & August , we will be running and exclusive 4 week summer party in Leeds. Amazing drinks, gorgeous food, and 100’s of 1000’s of balls will greet you as you enter our Aladdin’s cave of nostalgia. 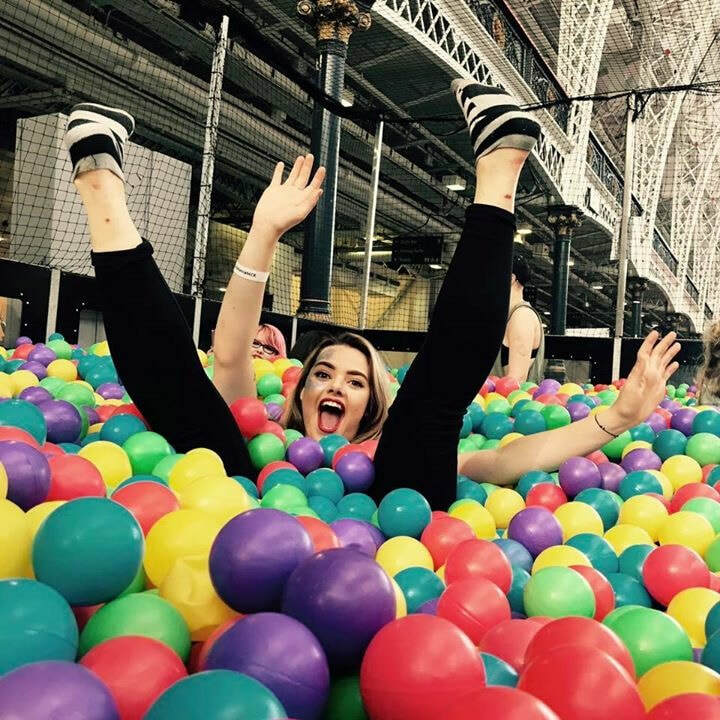 Jump, dive and swim in over ½ million balls, grab pictures in our #selfie corner and boogie with some of the best tunes around, as we guarantee a night at Ball Mania will be one to remember. With multiple areas to dive into, and a wide range of packages to choose from, we have a package to suit your needs. But hurry, spaces in each 90 minute session are strictly limited. £5PP - Entry for 30 minutes. £10PP - Entry for 1.5 hours. £15PP - Entry PLUS 1x can of Rekorderlig or Beer Monkey AND a Classic hot dog served with fries. £15PP - Entry PLUS 2x cans of Rekorderlig or Beer Monkey. £20PP - Entry PLUS 2x cans of Rekorderlig or Beer Monkey AND a Fully Loaded Burger with fries. VIP Packages - Email us with dates and group sizes for prices.